The following is an excerpt from The Economics of BVLOS, a whitepaper—written in partnership with Skylogic Research—that compares traditional inspection methods with VLOS and BVLOS drone operations on the basis of cost, safety, data quality, and time-to-value. Download the whitepaper to learn when, and when not, to fly BVLOS. In the oil and gas industry, efficiency is paramount. An inoperable well pad—whether it houses a single well or multiple—loses revenue for the company. For one of our clients, a 1% change in well pad downtime can result in losses of $600,000 each day. What is the best way to enable an effective well pad inspection strategy—one that improves efficiency, safety, and the collection and analysis of data? To answer this question, oil and gas companies must evaluate new methods of inspection based on existing ones. Traditional methods of inspecting well pads involve a team of well tenders, engineers, and environmental experts that drive between well pads or walk pipelines. The team will photograph, document notes on a clipboard or mobile device, and inspect 15 different checkpoint items at each well pad. The checklist includes inspecting gauges, valve settings, and the temperature of critical pieces of equipment, as well as methane detection, vegetative encroachment, and tank gauging—a manual measure of each tank’s volume. By Federal regulation, well pads must be inspected at least annually. Local and state regulations may require additional inspections throughout the year. Yet the time and personnel applied to these inspections deliver much more value if the well tender can also perform maintenance—and fix any issues—during the inspection. Maintaining well pads keeps them operational—and saves the company from losing money due to inoperable well pads. If a well tender can be made just 30% more efficient by performing high value maintenance along with their inspection—netting more well pad uptime—the company gains a whole lot more than just regulatory compliance. They protect their investment and infrastructure—and their revenue. Of the 15 issues that a well tender typically inspects, drones can handle tank gauging, methane detection, and change detection on the well pad including vegetation and encroachment. Additionally, drone inspection supports a “management by exception” policy in which drones are tracking changes over time that could indicate potential issues—infrared cameras can detect rising equipment temperatures, for instance, or photos might capture pooled water on-site, indicating a loss of primary containment, vegetation, or cattle encroachment. 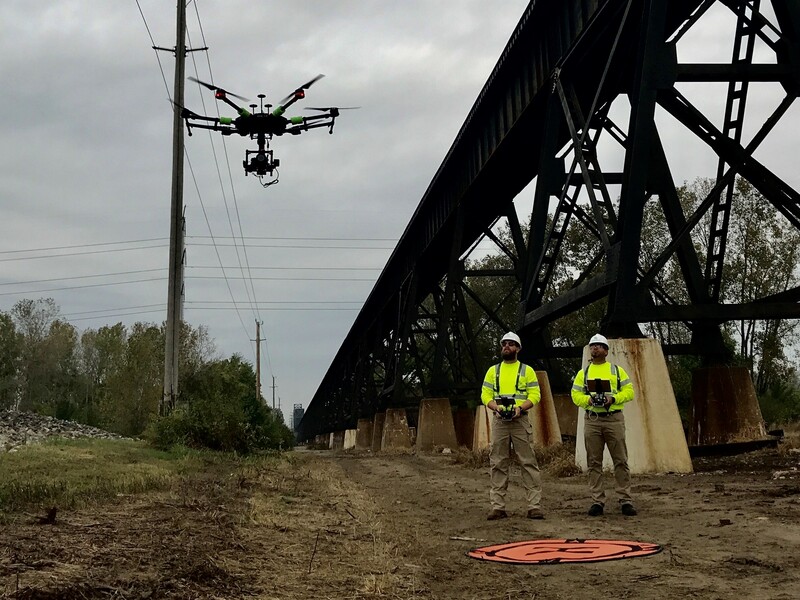 It’s more efficient for a company to deploy drones to conduct well pad inspections. One client tested the use of visual line of sight (VLOS) drones to inspect a cluster of 10 well pads in a three-mile radius. 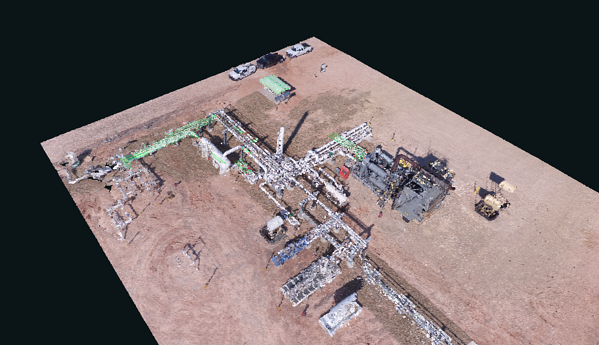 Our client determined that the use of drones reduced inspection costs by approximately 66%, from $80–$90 per well pad from traditional inspection methodology to $45–$60 per well pad using VLOS drone missions. The company estimated that if it could fly drone missions beyond visual line of sight (BVLOS) that three-mile radius could become a 40-mile radius, increasing the total number of well pads a technician can inspect in a given day from 10 to more than 100. By removing the necessity of manual inspections, oil and gas companies can use well technicians to focus on higher value-added inspections or maintenance alone. The real economic benefit isn’t just the cost reduction—it’s in freeing their technicians to focus on increasing uptime and allowing them to drive and maintain overall revenue. 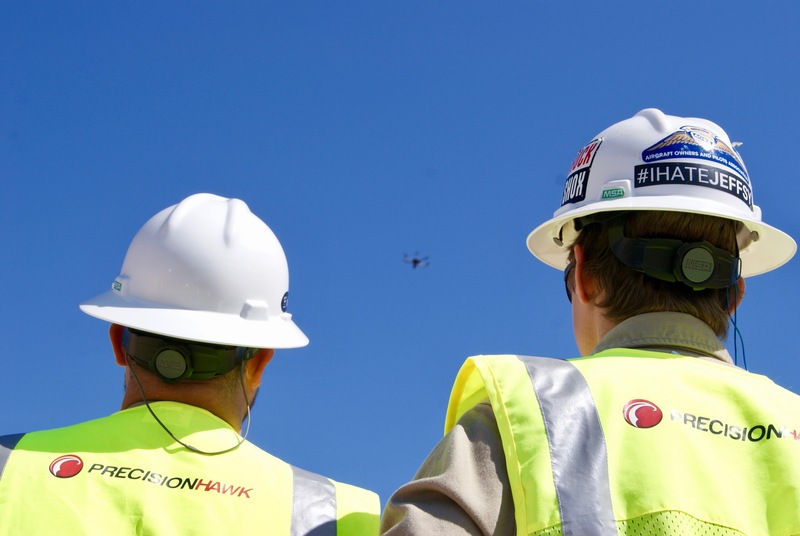 While helicopter pilots can attempt to fly the same altitude and route over a pipeline or well pad, a drone can be pre-programmed to run the exact same navigation points and route at the exact same height. And, this route is repeatable. Route and height are key factors for collecting consistent and useful imagery. Drones collect structured data that can be aggregated with a larger structured dataset, transmitted directly via API to a work-management system. By flying drones, data is collected more quickly and in a manner that skips manual touches that lead to potential data integrity loss. The nature of well pads makes them dangerous to inspect and maintain. Well pads contain multiple centrifugal pumps that increase pressure to move crude oil and petroleum—flammable and combustible liquids—through pipelines. These pumps are powered by internal combustion engines or electric motors, both of which are subject to breakdown. According to the Center for Disease Control, the number of work-related fatalities in the oil and gas extraction industry increased by 27.6% with 1,189 total deaths. More than 50% of those fatally injured were employed by companies that service well pads. 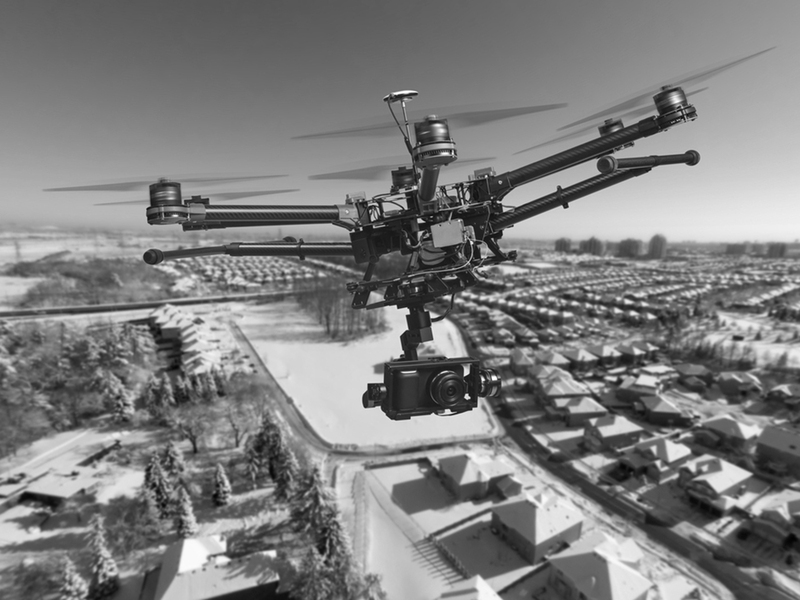 Flying drones reduces the total amount of time that well tenders spend in the immediate proximity of well pads, centrifugal pumps, and other equipment. Additionally, by implementing BVLOS missions, companies reduce the likelihood of automobile accidents—and the time inspectors spend in a vehicle between inspection sites. Using BVLOS drones for inspection of wide geographic areas that contain a high density of well pads, such as the Permian Basin in Texas would significantly reduce drive time and decrease the risk of automobile accidents. The operational economics of oil and gas necessitate using trained well tenders only for high-value inspection and maintenance tasks that improve uptime and protect revenue. 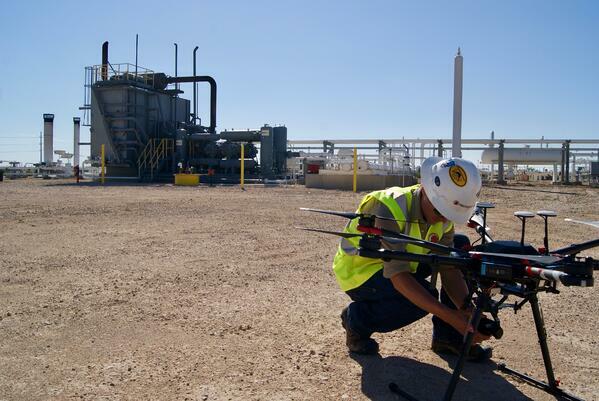 Flying drones within the visual line of sight can drive efficiencies in well pad inspections. 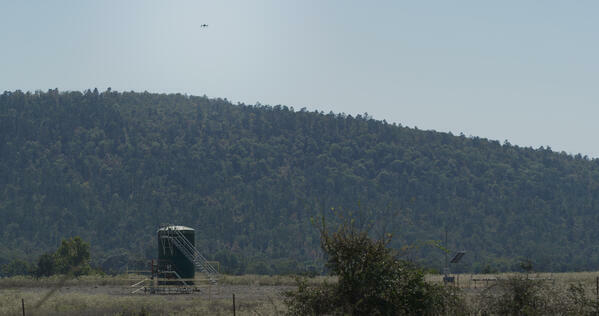 And, flying missions beyond visual line of sight drive even greater efficiencies in well pad and in pipeline inspections. Both VLOS and BVLOS reduce the risk of fatal accidents in helicopters, on well pads, and in transit—and both enable faster data collection and analysis while simultaneously providing higher quality data.